The final Classic of 2018 is fast approaching as the Flat racing season moves towards its conclusion. All eyes will be on Doncaster on Saturday afternoon as the leading three year olds who excel over longer trips do battle for the big prize. However, the meeting is about much more than just its showpiece race and the big one is complemented by a whole four day festival of racing. Punters have a combination of races to enjoy at Doncaster and there is something for everyone. We’ll see everything from sprints to long distance slogs with competitors ranging from promising young up and comers to experienced stagers. With so much great action ahead, we’ve picked out the best betting options from the St Leger Festival below. The first day isn’t one that receives a huge amount of attention and whilst there are plenty of betting opportunities we’re diving straight into day two. The Wednesday action isn’t televised and whilst you can watch via a live stream, the meeting only really hits galloping pace come Thursday. After a fairly low key start including some racing legends of the past, the St Leger Festival really gets going on Thursday. As with every Ladies Day during the Flat racing season, a lot of attention will be paid to the festival goers themselves but the real action takes place on the track with a couple of races worth paying attention to in particular. The Park Hill Stakes whets the appetite for the St Leger. Open to horses aged three and older, this is a stern test of stamina at the best part of two miles. The 2018 renewal has attracted entries from many of the leading yards and looks to be a very competitive betting heat. Andrew Balding’s quality four year old, Horseplay, and Pilaster, Roger Varian’s red hot three year old head the betting but there hasn’t been a winning favourite for five years and only three have obliged in the last 10. The most interesting option in the betting is God Given. Luca Cumani’s filly came into her four year old season lightly raced and she’s proven to be a consistent performer over the summer. She’s been beaten by Horseplay and Pilaster in her last two starts in Britain and couldn’t reward favourite backers on her first attempt at this trip. However, Cumani believes she’ll be able to thrive over longer distances going forwards while the softer ground should suit so back God Given to gain revenge over her rivals and win at great odds of 7/1 with Coral. The feature race on Ladies’ Day, the Weatherbys Racing Bank Stakes carries with it a mammoth prize fund of £300,000 with the best part of half of that going to winning connections. The size of the prize tempted entries for 66 different juveniles but only 22 will make the cut and the competition only gets stiffer from then on. Most recent winners had already got off the mark (although few at this trip or longer) and many finished in the places last time out. Louis Treize hasn’t been seen since July but his two starts to date saw him finish second and first over six furlongs. The way that he saw off the competition last time out at Newcastle suggests that he will have no problems with this slight increase in trip. It’s too early to tell whether Richard Spencer has a top class colt on his hands but he’s certainly shown enough so far for us to believe he has a very good chance of landing this lucrative prize so back Louis Treize to win at 7/1 with Ladbrokes. In the spirit of equality, after Ladies’ Day on Thursday comes Gentleman’s Day on Friday. Expect sharp suits among the crowd and some high class horses on the track especially in the feature race of the day, the Doncaster Cup. The Doncaster Cup is the pick of Friday’s racing. Run over two miles and two furlongs, this contest forms part of the Long Distance division of the British Champions Series which means it is a valuable prize in its own right. Many trainers also see this race as a good chance to test their stayers out against a competitive field before trying them out in the biggest long distance races on the calendar. With only nine horses entered, the Doncaster Cup is not going to be a big field event but what it may lack in size it always makes up for in terms of competition. Only three of the last 17 winners went off at odds longer than 11/2 with the bookies and the fact that 15 of those 17 winners had already tasted success at least 1m6f shows that this is a race for horse with proven stamina. The current bookies’ favourite, Idaho, doesn’t need to prove his stamina to anybody. After a successful season last time around running exclusively over 1m4f, Idaho has been stepped up in trip during this summer and Aidan O’Brien has been pleased with the results. Idaho’s last two appearances were in top class races over at least two miles. Not only did he finish third in each race but he was only beaten by Stradivarius, the best stayer around at the moment, and two other excellent stayers – Torcedor and Count Octave. In the absence of such top class opposition here this is a great chance for Idaho to finally claim his first win at Group level at 11/4 with Betfred. It’s always been a good week of racing by the time we reach the weekend of the St Leger Festival but there is definitely a feeling that this is what everybody has been waiting for. The St Leger is one of the feature races of the entire season let alone Saturday at Doncaster but who will come out on top this year? There is one more Classic up for grabs and we think we’ve got a cracking tip for the meeting’s flagship race. The St Leger is the final Classic of the British racing season and the only one open to both colts and fillies. There is no doubting the prestige of the St Leger but there is a feeling that it’s increasingly becoming a race for specialists as the horses at the very top of Flat racing tend to stick to the shorter distances. With hopes long since dashed of Saxon Warrior winning the English Triple Crown after his 2000 Guineas success, we’re left with the usual selection of steady improvers in the St Leger field. Capri was the standout option in the betting for last year’s St Leger. The bookies’ favourite proved his class 12 months ago but the two renewals before were won by 22/1 and 8/1 shots. The shortest options in the betting all have questions to answer so it could be worth taking a shot on another slightly longer odds winner with Latrobe, currently priced at odds of 8/1 with BetVictor. Latrobe’s odds have come out a little since a very poor performance last time out at York. He was always going to be up against it over the shorter trip that day but his chances were over before the off as he got very hot and bothered on the way to the stalls. Providing he is nice and calm at Doncaster, the step up to 1m61/2f should see the best of him. The best of Latrobe was enough to win the Irish Derby in some style and could well be enough to land the St Leger at a generous price. Even the most causal of horse racing fans knows about the St Leger. Held in September it’s the final British Classic of the flat racing season and remains a hugely prestigious contest. Some, however, may not know that there is a four day festival built up around the St Leger. There are many highlights in the St Leger Festival beyond the main event itself, as well as a host of activities for race goers to enjoy away from the track. First time visitors to the festival at Doncaster Racecourse feel like they’ve found something of a hidden gem given how much hype there is around other flat racing festivals compared to the St Leger Festival, whilst there are some great options for punters who prefer to take in the action from the comfort of their own home. The St Leger Stakes is the race after which the entire festival is named and the one that makes the headlines around the world. Run over a distance of one mile, six furlongs and 132 yards, it is the longest of the five British Classics and the only one that is open to both colts and fillies. The St Leger is also the oldest of the Classics having first been run in 1776. Winning all three Classics used to be the hallmark of the very best horses on the flat but things have changed significantly recently. The very best horses on the turf tend to do most of their racing over shorter trips and it is rare for a horse to even try to win the Triple Crown, whilst the last horse to win all three was Ninjinsky in 1970. Camelot did come close in 2012 though when he narrowly failed to follow up wins in the 2,000 Guineas and the Derby. Although some horses who failed to make an impact in the Derby have gone on to win the St Leger in the last few decades the main races to consider when looking for St Leger form at the Great Voltigeur Stakes at York and the Gordon Stakes at Glorious Goodwood. Whatever route a horse takes to the St Leger it is pretty much vital that they have run over at least a mile and two furlongs. There have been plenty of notable winners over the years ranging from the 200/1 shot Theodore way back in 1822 to Galtee More at the other end of the scale who was victorious at odds of just 1/10. The biggest winning margin was a whopping 12 lengths when Never Say Die stormed to victory in 1954, while Masked Marvel has come closest to breaking the three minute barrier when taking the win in 2011 in a time of three minutes and 44 hundredths of a second! Potential St Leger winners of the future are given the chance to compete in a high class contest at Doncaster courtesy of the Champagne Stakes. This Group 2 race for two year olds is run over a distance of seven furlongs and six yards and plays the role of a warm up for the St Leger as it also take place on the final day of the festival. There are any number of potential routes for the Champagne Stakes winner to take but most of the leading contenders will go on to compete in the Dewhurst Stakes which takes place the following month at Newmarket. The Doncaster Cup was first held in 1766 so is one of the few races still going strong that is actually older than the St Leger. In those early days it was actually run over a gigantic distance of four miles but has since been cut significantly and now takes place over two miles, one and a half furlongs. The Group 2 race is open to horses aged three and older and forms the final leg of the Stayers’ Triple Crown along with the Ascot Gold Cup and the Goodwood Cup. The May Hill Stakes is another very historic race that forms part of the St Leger Festival. This Group 2 race for two year old fillies is run over 1 mile and takes place on the second day of the festival. There’s a decent price (£70,000 in 2018) up for grabs but this is more about setting the platform for future success than anything else. 2017 winner, Laurens, showed that the May Hill Stakes has the ability to give birth to stars of the future as she kicked on to win the Fillies’ Mile the following month before claiming multiple Group 1 wins later on. The Park Hill Stakes is another well regarded Group 2 race taking part at Doncaster in September. 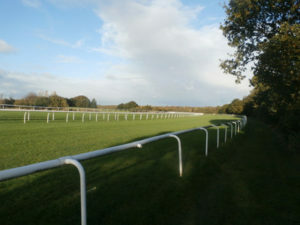 It’s run over around 100 yards longer than a mile and six furlongs and is open to fillies and mares aged three and older. Fittingly for a race that takes place on the festival’s Ladies Day, the Park Hill Stakes is colloquially known as the Fillies’ St Leger. That gives a hint as to the prestige of this race which has been won by some quality staying fillies and mares over the years. The St Leger Festival has a lot going for it. One of the biggest selling points that the organisers use to market the event is the incredible amount of history that horse racing has in Doncaster. There are few more historic places in horse racing than Doncaster Racecourse which has been hosting regular racing meetings since the 16th century. Horse racing was far from universally popular in those early days as locals were very upset with the “ruffians” who were attracted by the races but things have changed immeasurably since. In more recent years the racecourse has undergone a massive redevelopment costing around £34 million. From there fans are treated to all the mod-cons as they enjoy racing on the same spot as those pioneers of the sport many hundreds of years ago.